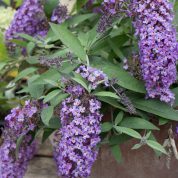 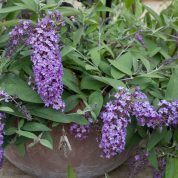 The Dreaming Series of Buddleja have been bred to be compact and trailing making them suitable for pots and containers. 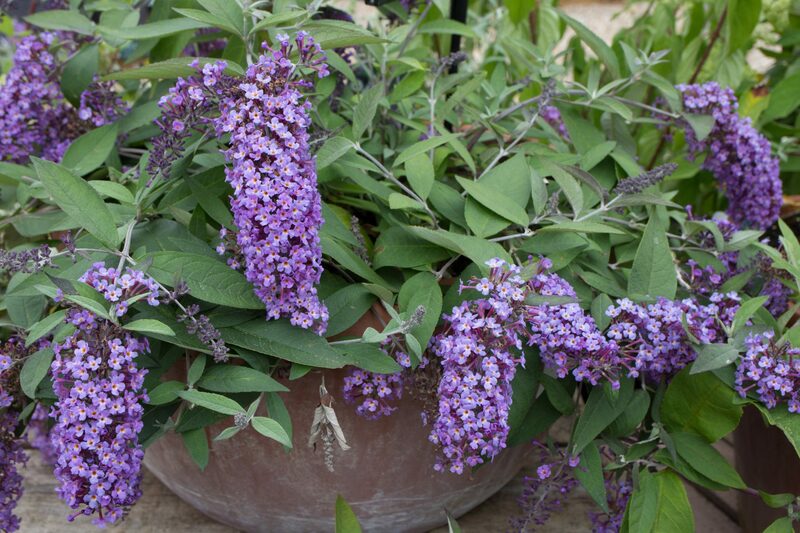 The lavender flowers are borne in late summer and are attractive to butterflies and beneficial insects. 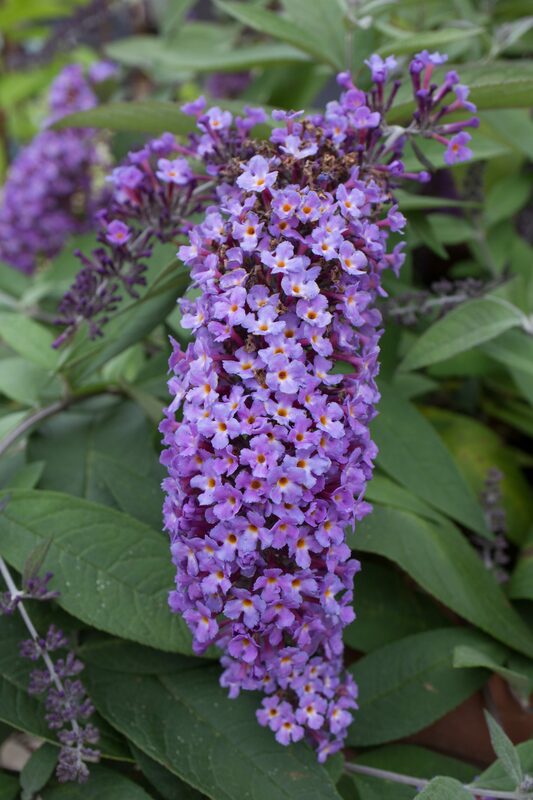 The Dreaming series were developed by Peter Podaras at Hines Nursery, California, USA to produce a range of sterile or low fertility hybrids. 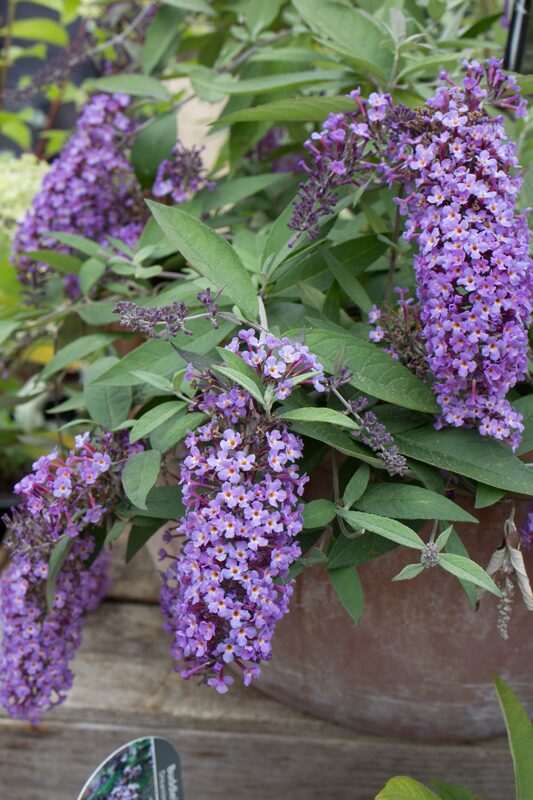 Introduced in 2011, B. Dreaming Lavender is a complex hybrid, the female parent being a hybrid of Buddleja davidii×Buddleja alternifolia×Buddleja caryopterifolia×Buddleja lindleyana×Buddleja crispa. 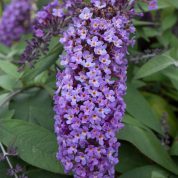 The male parent is a hybrid of (Buddleja davidii×Buddleja alternifolia) × Buddleja davidii.